The Divisional Commissioners in the Eastern and Northern Divisions have been advised to prepare for initial damage assessment. It has confirmed that in the Eastern Division teams have been set up awaiting instructions for initial damage assessment and ration distribution. 2,104 people are currently taking shelter in 40 Evacuation Centers around Fiji. There are four evacuation centres in the Central Division, 27 in the Northern Division, 7 in the Eastern Division and 2 in the Western Division. 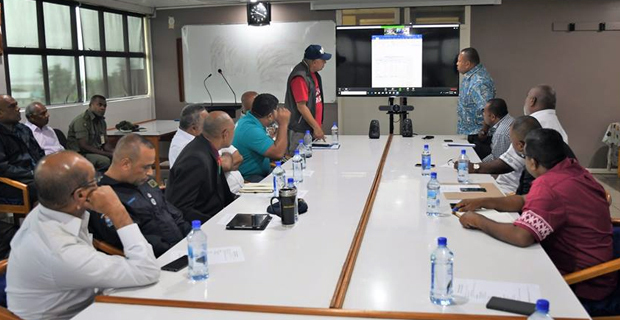 The National Disaster Management Office has also confirmed that 1,767 people are staying in the 27 evacuation centres open in the Northern Division. Shipping and Air Services also remain closed until further notice in Northern Division. Stay with us for an update on this. The NDMO also says that an additional three evacuation centres have been activated in Vanuabalavu. Its says Police officers have activated the evacuation centres for families that are located on coastal lines as a precautionary measure. Fiji Airways has confirmed that all their Domestic and International flights will be operating as normal from today.